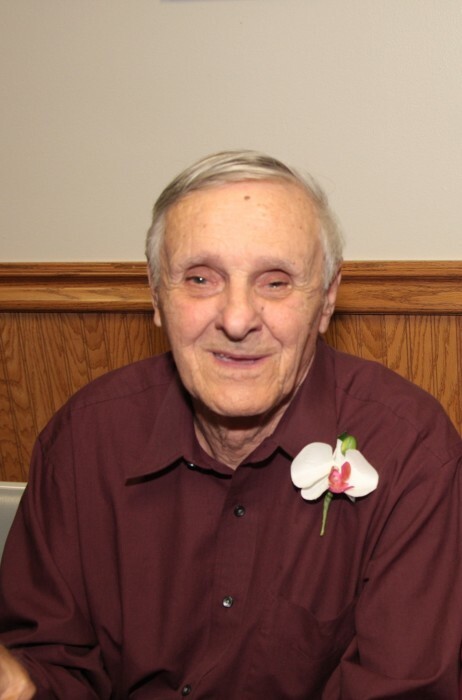 Harold Edwards, aged 82, of New Port, Richey, FL passed away Tuesday, January 15, 2019. Harold was born on July 14, 1936 in Wauwatosa, WI but raised in Eau Clair, WI. He served his country honorably in the United States Army from 1953-1957 and in the United States Navy from 1958-1962. He was employed by Wisconsin Coach Line for 18 years as a diesel mechanic. While living in Florida he was a property manager for 10 years at Our Lady of Divine Providence. Harold was preceded in death by his mother Ruby Vorce, brother Louis Giroux, and sister Janice Sabelko. He is survived by his wife of 60 years, Charlene Edwards of New Port Richey, FL; Children Randy (Paula) Edwards of Delavan, WI; Brian (Sheila) Edwards of Xenia, OH; Rene (Greg) Rudolph of East Troy, WI; Charyl Barnes of East Troy, WI; John (Bonnie) Edwards of Waukesha, WI; and Julie Edwards of New Port Richey, FL. Grandchildren: Tabatha Edwards, Heather Edwards, Justin (Jocelyn) Edwards, Leanna (Kevin) Winegarden, Dusty Duddles, Raymond ( Samantha) Barnes, Marty Barnes, Kimberlee Edwards, JT Edwards, Emily Edwards all of WI; Tyler ( Melanie) Edwards, MiKayla Edwards of Xenia, OH; Felicia and Leah Wade of New Port Richey, FL. Great-children Tanner , Courtney, Colton, Shelby, Ryder, Max, Parker, Scarlett, Brayden, Caleb, Marcus all of WI and grandson Garrus due in June of Xenia, OH; and many other extended family and friends. A private Memorial Service will be held at a later date in WI at the discretion of the family.